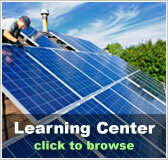 Here Comes the Sun | Solar Panels | Solar Power | Site Map | Bookmark This Site! LIBERTY -- Three years ago, Energyworks LLC, which specializes in selling and installing renewable energy systems, sold about 20 solar water heating systems. Last year, that number roughly doubled and, this year, Bill Behrens, an owner of Energyworks, estimates his company will install about 100 solar water heating systems. The market is growing so quickly that Behrens believes demand may well exceed the number of reliable solar contractors over the next few years. "The bottleneck really is training people," he said. Long associated with off-the-grid homes and the environmental fringe, solar power is moving into the mainstream as fuel and electricity prices rise, sending more people in search of energy security on a personal level. "Many more people now realize that if they can insulate themselves from (the volatility of fuel prices) they are going to have a lot more control over their household budget, their business budget," Behrens said. Behrens said that he and his partner have been in the renewable energy business since the late 1980's and just during the past three years have seen it change dramatically. Part of that change has been driven by the volatility of fuel prices and the fact solar equipment has gotten better and, in some cases, cheaper. 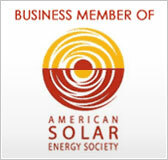 But he said rebates offered by the state's solar power program and federal tax incentives have also helped. Maine's program offers rebates of a maximum of $1,250 for a solar hot water system, or $7,000 for a photovoltaic system which provides electricity. 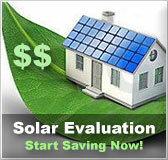 Solar hot water systems can cost between $6,000 and $10,000 and are usually designed with a backup system for cloudy periods. Photovoltaic systems can cost from $5,000 to more than $50,000, depending on a number of factors, including size, and whether battery banks are included. Particularly for solar hot water systems, the Maine rebate, along with new federal tax incentives, can greatly reduce the time it takes for the new system to pay for itself. State energy experts estimate that with state and federal incentives, solar water heating systems can pay for themselves in six to 10 years, and if energy prices continue to rise, that pay-back period could shrink further. Maine's solar program, an initiative of Gov. 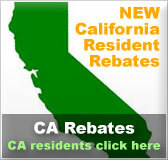 John E. Baldacci that was signed into law in 2005, offers $500,000 in rebates each year for three years, with 25 percent of that amount earmarked for electrical systems and the rest going toward thermal projects and the cost of administering the program. Richard Bacon, residential program manager for Efficiency Maine, of the Maine Public Utility Commission, said so many applications for solar electric systems rebates were received during the program's first year that all the money allotted for that purpose over all three years of the program is now accounted for. Thermal systems, including solar water heating systems, got off to a slower start. Bacon said about $200,000 in rebates for thermal systems was left over after the program's first full year. But interest in thermal systems appears to be picking up -- he said one installer recently told him he had orders for 11 new systems this year. Bacon said he believes the program will pay out all the money allotted for thermal system rebates this year, and maybe most of the money left over from last year as well. Beth Nagusky, director of energy independence and security, said some people were installing solar systems before the program went into effect, she said, but for many, the upfront costs of solar were simply too much. The program, appears to be doing what it was designed to do, make solar power a more realistic alternative for more Maine people. "This is a mainstream technology that works in Maine," she said. "I think we needed to jump start the market, create more excitement and interest." The higher energy prices go, the more people will see solar systems as something they can be comfortable with, Nagusky said. And that, she said, will be good for Maine because it means the state will produce less greenhouse gases and be less reliant on fossil fuel.